Baby wipes serve so many purposes that most parents wonder how it could ever be possible to raise a baby without them. It seems like each year parents go through hundreds of packs of these disposable wonders. 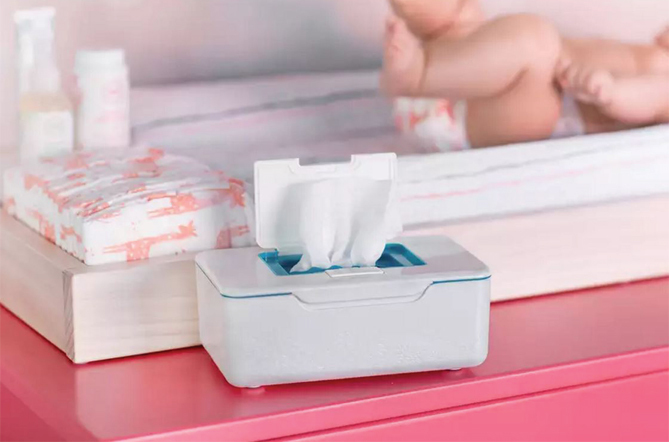 When it comes to choosing the right wipes for your baby, there are certainly a number of options to choose from. You can never go wrong with choosing wipes that are hypoallergenic, free of fragrance, and contain soothing ingredients such as aloe, chamomile and lavender. The baby’s bottom is a very sensitive area, and that’s why it’s of the upmost importance that you choose wipes that cause no harm or irritation for baby’s incredibly sensitive skin. Aside from finding wipes that are free of fragrance, you also want to find a pack that is free from dyes. You’ll find that when you find the right wipes, it’s easy to use them for a number of different purposes. For instance, you can quickly clean baby’s hands and face with a good set of wipes. Kirkland is one of the best brands when it comes to finding affordable products that are also high in quality. These baby wipes are made from 100% renewable sources, making them easy on the environment while also being easy on baby’s skin. They are exceptionally soft and absorbent, because the premium wipes contain vitamin E to nourish the baby’s skin. The wipes are also completely hypoallergenic and alcohol-free, so there is never a drying effect or irritation. Each package contains 100 wipes, so you’ll get plenty of wipes in one convenient container. These wipes are also unscented so they’re ideal for even the most sensitive skin. 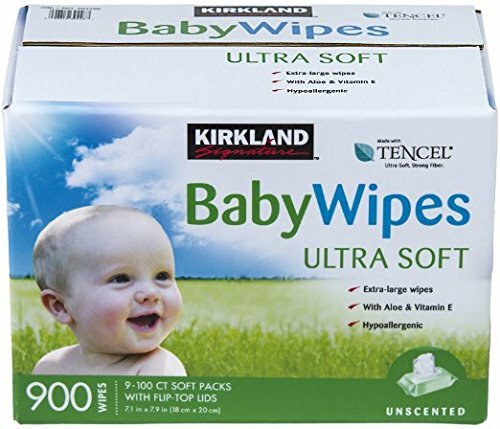 If you’re looking for sensitive wipes that are also incredibly affordable, then this set from Kirkland could be the perfect solution for you. All in all, just because it’s Kirkland doesn’t mean that it’s only affordable but lacking in quality. Be sure to test the wipes on your child’s skin before buying in bulk. Pampers is clearly the most trusted name in quality baby care products, and these sensitive skin wipes offer the optimal solution for keeping your baby clean, comfortable, and moisturized at all times. This massive box provides a high count of wipes, so it’s perfect if you already know for sure that these wipes work well with your child’s skin. These Pampers wipes are clinically proven to be as mild as possible, and they help to restore the natural skin balance of your child. They also provide exceptional cleaning power for even the biggest messes. Whether you’re using them on your child’s bottom, hands, or face, you’ll find that there will be no signs of irritation. Just because your wipes are gentle doesn’t mean that they can’t clean with the best of them. This is the #1 choice for hospitals, and that means that doctors trust the power and safety of these wonderful wipes. 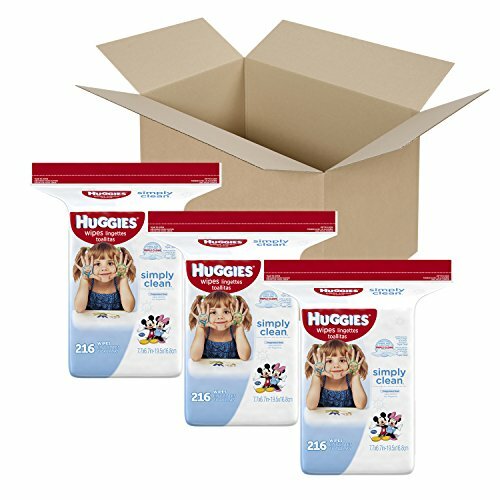 When it comes to buying the best and most trusted products for babies, there’s no name more famous than Huggies. 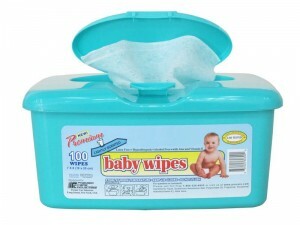 These Simply Clean baby wipes provide exceptional comfort and gentleness for babies with even the most sensitive skin. They’re also ideal for cleaning up big messes. These wipes are so versatile that it’s a great idea to have them on hand no matter where you are, and at various locations in your home. It’s best to buy these wipes in bulk because it saves you some money, and you’re guaranteed to use them all up in no time. The wipe dispenser tub is incredibly easy to use, and ensures that the wipes stay moist and effective inside the tub. Nothing is more reliable than the Huggies brand name, and these wipes live up to the brand’s dependability. No matter how large the mess, you’ll find that the Simply Clean wipes can handle it all. Parents find baby wipes to be an essential part of their daily life yet most of them do not know how to choose this product wisely. Choosing the wrong wipe will lead to irritated skin, diaper rush and other health concerns. The first thing that you need to look at is the ingredients list and then study the possible effects of those ingredients on their babies. There are some brands of wipes which contain a combination of ingredients which some children are allergic to which often result in diaper rash and irritated skin. These are the ingredients found in them: chlorine, benzyl alcohol and fragrance. Look at wipes with ingredients that keep skin soft. There are a lot of wipes that contain things which are meant to help the skin of the baby get soft. Wipes that have aloe vera and lanolin will help soften the skin. These ingredients help in forming a protective barrier between the urine or the bowel movement of the child and the tender skin of the baby. Research has found that when wipes are used well, babies tend to develop less diaper rash than those who have had their skin cleaned with water and a towel. It is essential for baby wipes to contain vitamin E and aloe vera as both these things help in soothing irritated skin. It is essential for you to buy wipes that contain more than one layer. This will help in making sure that the wipe does not tear as you are using it. Look for those that have three layers. Parents can easily poke their fingers through the wipe if it consists of one layer. If this was to occur, it is easy for the parent to scratch the skin of their baby which can be very painful for the child. Wipes that have a quilted surface are quite effective in cleaning the bottom of the baby than those which have a smooth texture. The quilted surface is essential in removing bowel movement much faster and effectively. The same surface helps to remove dirt when using the wipe to clean face and hands. It is vital to read the expiration date on the package. At room temperature, wipes that are not opened can last up to two years. Sunlight dries out wipes and also shortens their shelf life when it is not opened. When baby wipes are opened, it can last for one year provided the caregiver closes the box well. An easy to close package is one of the best ways to make sure that the wipes do not dry out. It is also essential to see how the wipes are packaged. Look for those that are packaged using bulky cardboards or canisters. This will prevent premature drying out of the wipes. You should also buy large amounts in small packages at one time so that you only open one package at a time when you need them. Wipes are found in large stores all over the world. They can also be gotten online. A lot of parents look for these products online due to the fact that they cost lower than those in the stores. Most parents also report that these products found online are not only good but some of them are also better than other products. Cost is another thing that needs to be taken into account when looking for baby wipes. Small and thin wipes are less costly while large thick ones are expensive. When looking for the best, do not just look at the price. You are going to pay a lot more for an attractive container or package. Take a closer look at the size and thickness of the wipes as well as the number contained in the package. Another essential thing that should be taken into account when looking for wipes is what happens to them when they are thrown away. In most cases they end up in landfills since they cannot be flushed in the toilet without them clogging the plumbing and it takes a very long time for it to decompose. 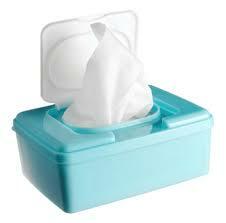 If you have some concerns, you should look for environmentally healthy wipes.